Mix the water, evaporated milk and sugar in a small pot. Add the cinnamon stick and rum. Cook at medium heat until very hot. Don’t let boil and enjoy! If you don’t like café con leche, you can omit the evaporated milk and add 1 1/2 cups of water. And if you’re not fond of rum, you can use coffee liquor. For coffee lovers, there’s nothing quite like starting the day with nice hot cup of java. And of course, another at the end of the day. But not just any cup of coffee: To end your day, you have to make it special and with a little touch of rum. 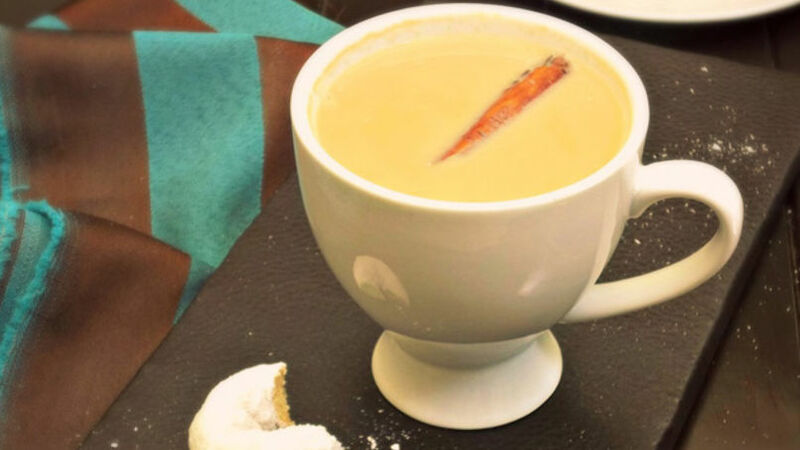 This café con leche cocktail is like a warm punch that I love to serve with dessert for special dinners and Christmas parties.